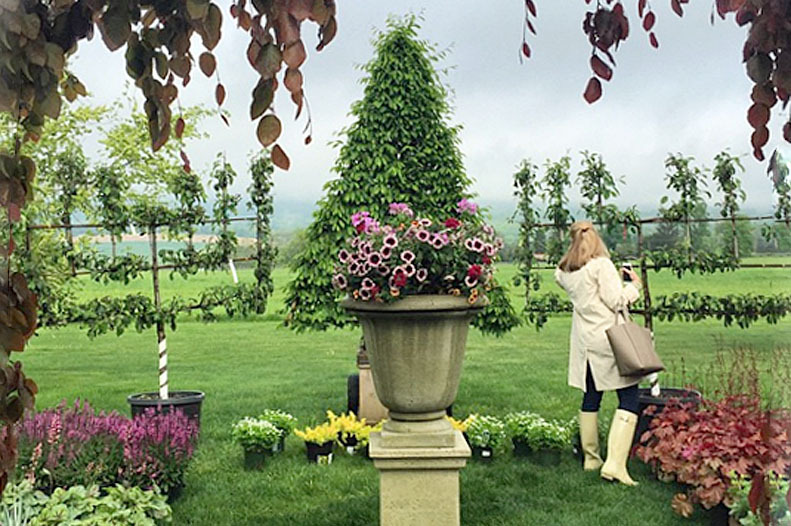 The 600 acre expanse of LionRock farm opens itself to popular events drawing dedicated crowds, such as the trade secrets annual garden event, founded by Bunny Williams to benefit Women's Support Services. with over 60 vendors featuring rare and unusual plants and garden antiques, people come from across the country. On other occasions, our classic grey barn with stone fireplace is popular in fall and winter for more intimate end-of-the-year harvest, concerts, wine tastings and holiday events. LionRock Farm is a magnet for local gatherings as well as destination events.